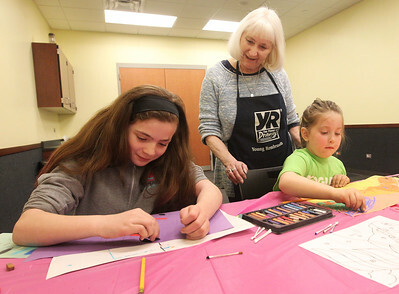 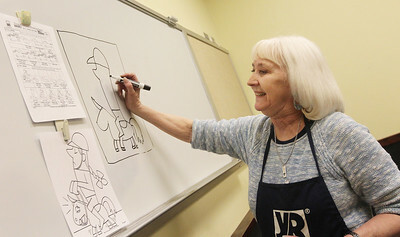 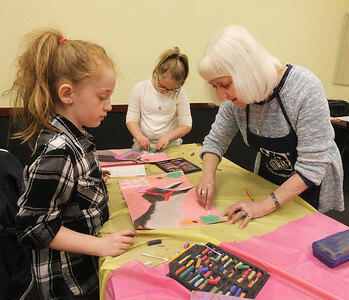 Candace H. Johnson-For Shaw Media Landry Lies, 10, and Logan Szostak, 6, both of Gurnee work on their pastel drawings of a horse with the help of their teacher, Susan Noon, of Lindenhurst, with Young Rembrandts, during the Horses Art Camp at the Hunt Club Community Center in Gurnee. 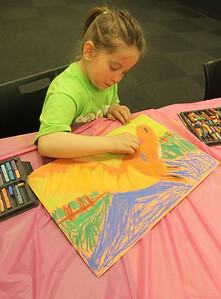 Candace H. Johnson-For Shaw Media Logan Szostak, 6, of Gurnee works on her pastel drawing of a horse during the Horses Art Camp at the Hunt Club Community Center in Gurnee. 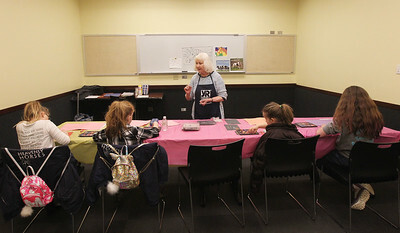 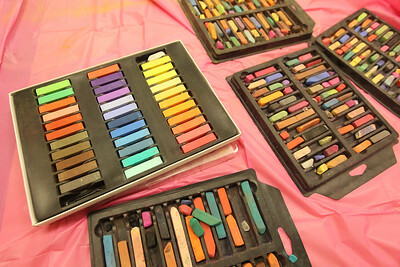 Candace H. Johnson-For Shaw Media Boxes of new and old pastels are on the table for kids to use to color their horse drawing during the Horses Art Camp at the Hunt Club Community Center in Gurnee. 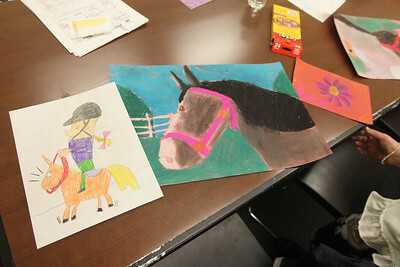 Candace H. Johnson-For Shaw Media Eden Hamelberg, 8, of Antioch and her sister, Mya, 10, show each other the horse drawings colored with pastels they made during the Horses Art Camp at the Hunt Club Community Center in Gurnee. 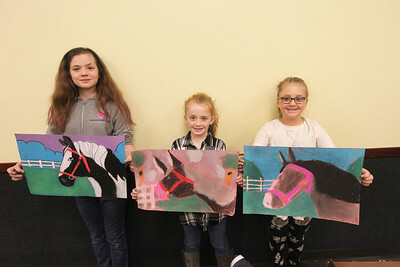 Candace H. Johnson-For Shaw Media Landry Lies, 10, of Gurnee stands next to Eden Hamelberg, 8, of Antioch and her sister, Mya, 10, as they show off their pastel drawings of a horse they made during the Horses Art Camp at the Hunt Club Community Center in Gurnee. 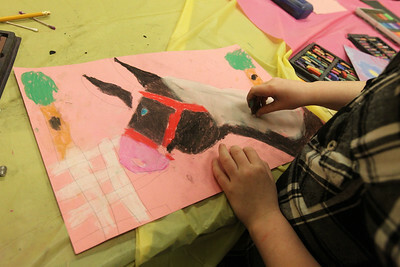 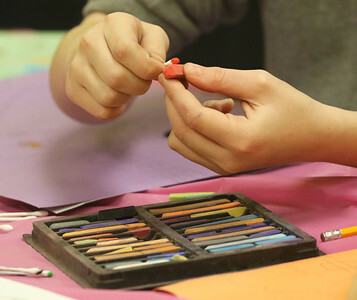 Candace H. Johnson-For Shaw Media Landry Lies, 10, of Gurnee takes some color off of a chalk pastel using a cotton swab as she colors her horse drawing during the Horses Art Camp at the Hunt Club Community Center in Gurnee. 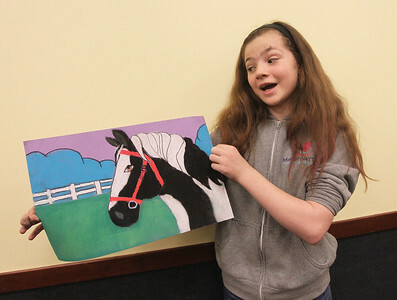 Candace H. Johnson-For Shaw Media Art by Mya Hamelberg, 8, of Antioch is ready to take home during the Horses Art Camp at the Hunt Club Community Center in Gurnee. 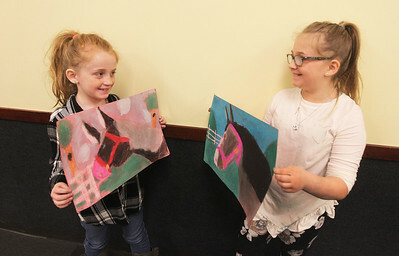 Landry Lies, 10, of Gurnee stands next to Eden Hamelberg, 8, of Antioch and her sister, Mya, 10, as they show off their pastel drawings of a horse they made during the Horses Art Camp at the Hunt Club Community Center in Gurnee.